Sergio Marsal and Manuel Murga are giving traditional Spanish jamón a Texas makeover at Acornseekers in Flatonia, where pigs graze on acorns all day, producing a deliciously original ham. Photos by Wynn Myers. Two years ago, Sergio Marsal made pigs fly. On a mission to bring traditional Spanish ham to the United States, Marsal loaded 150 Iberian pigs onto a commercial flight bound for New York. 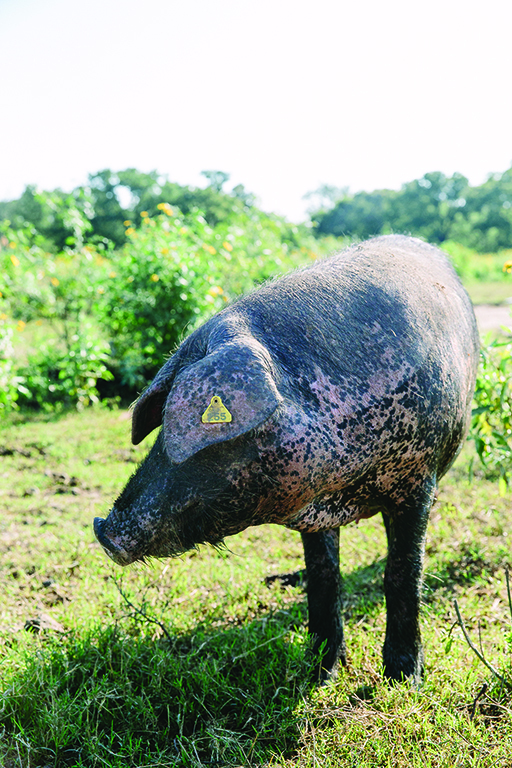 After a month in quarantine, the pigs were driven to central Texas, where wide-open, free-range-worthy spaces are aplenty. It was a journey nearly four years in the making, Marsal says. At the time, the former marketing executive from Barcelona was living in Miami, lamenting the fact that of all the amazing foods available in his adopted home, it was ridiculously difficult to get your hands on jamón Ibérico de bellota, a cured ham considered to be the best in the world. 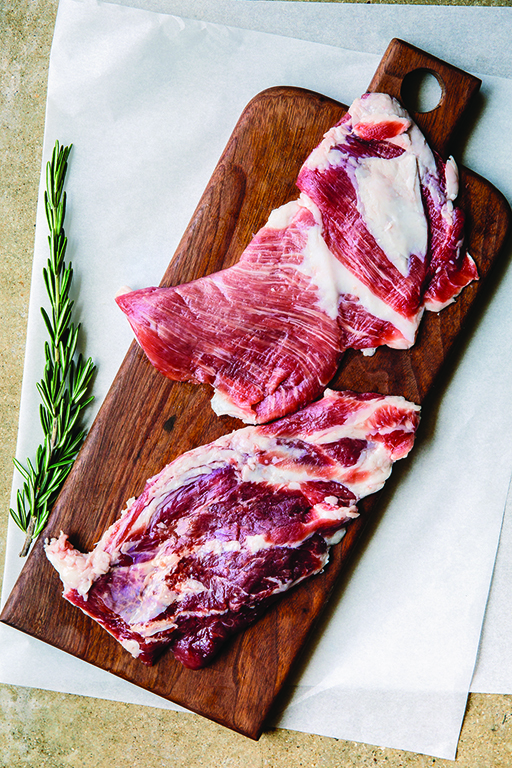 Marsal partnered with Manuel Murga, who grew up raising Ibericos near Seville, Spain, and they honed in on central Texas — with its large oak trees, warm weather and copious acorns — as the ideal place to raise their pigs. 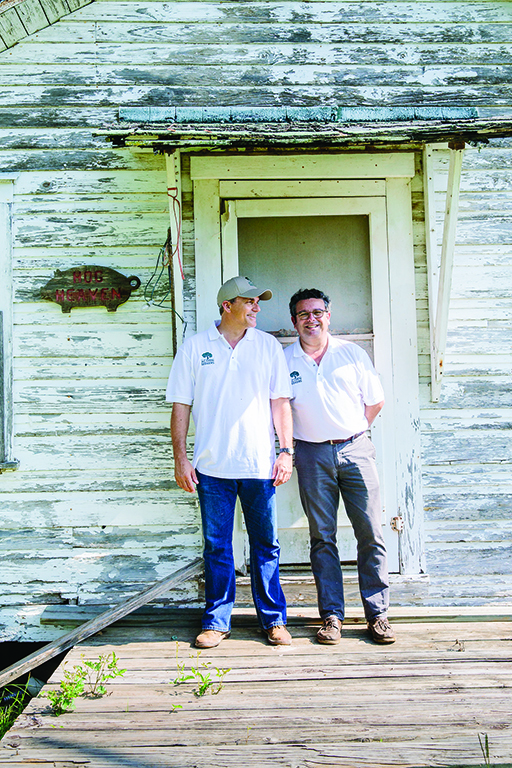 From there, Acornseekers, the first company to produce a U.S.-made Iberian ham, was born. As the company’s name suggests, the acorns are the key to the ham’s buttery texture and nutty flavor. “There’s only one season a year for these pigs, known as the montanera. Beginning in November, this is when a hog gains up to a third of their body weight by consuming about 15 pounds of acorns per day,” Marsal says. And because Iberian ham was free-range before the term earned its cachet, vast expanses of space are essential, which is why Marsal and Murga chose a 300-acre farm in Flatonia, Texas, for their pigs to call home. “The process of walking all day, searching for food, is almost as important as the acorns themselves, as the exercise helps to diffuse the acorn oil throughout their body,” he says. The original litter of 150 pigs has since grown to about 2,000 (a breed the company has dubbed Ibericus), and they’re now providing cuts of pork to about 50 high-end restaurants across the U.S. In June, Acornseekers supplied chef Justin Yu of Oxheart in Houston with a Texas-raised pig to compete in the prestigious Grand Cochon, Cochon555’s annual 10-chef, head-to-tail cook-off in Aspen. But, as with all good things in life, Spanish ham requires patience.